Ninety percent Americans don't meet their daily recommended amount of vegetables, so why not get ahead of the curve first thing in the morning? If the only veggies you order at breakfast come in the form of hash browns, you’re in good company. I, for one, was in the minority when I recently ordered sauteed vegetables instead of bacon at a bed and breakfast. But I invite you to join me on the vegetables-for-breakfast train. After all, 90 percent Americans don’t meet their daily recommended amount of vegetables, so why not get ahead of the curve first thing in the morning? It can be way tastier than you think. 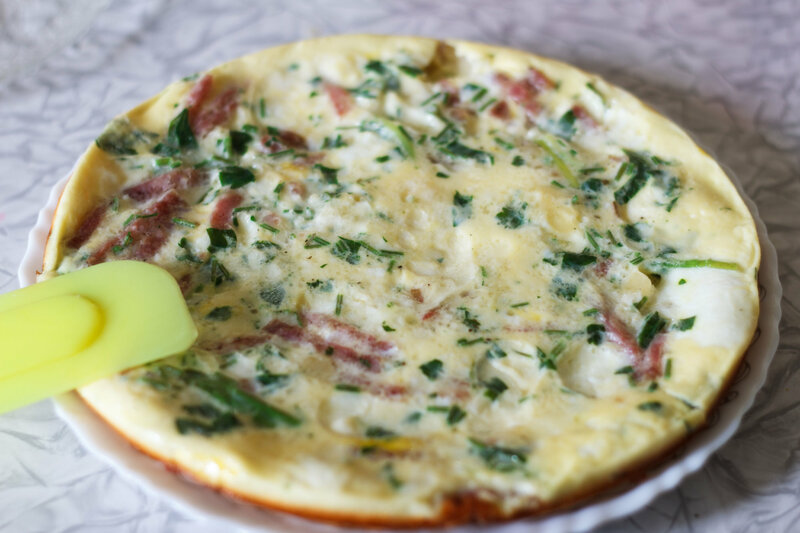 One of the easiest ways to add vegetables to your breakfast is in an omelet. It’s also a fabulous way to minimize food waste by using whatever leftover cooked vegetables or raw ones you have in your refrigerator. Some of my favorite veggies to use include cherry tomatoes, cooked asparagus, bell peppers and spinach.